A game project of Alex Sytianov from Ukraine who teamed up as 8D Studio. Here is the Kickstarter project page. Have fun backing this project! The game Reprisal Universe is finally out (on Steam and some other platforms as well). It is a remade and enhanced version of the Populous-inspired game “Reprisal“, that was (and still is) available to play for free. And since this is a very good and addictive game, I recommend: get this game. It is a good one! The experts will notice, that this game is actually a remake of the good old game Uridium. 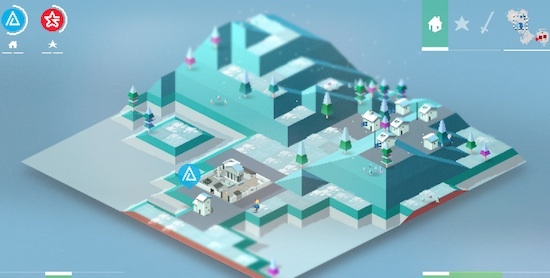 Everyone should get ready for the game Rymdkapsel – simply one of the best indie-casual games released for a while. 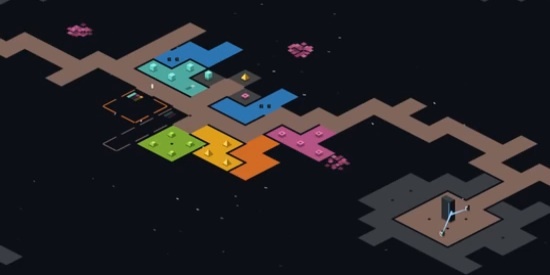 In Rymdkapsel you take the command of a space-station and its minions. You have to open monoliths and defend yourself against aliens – making this a mix of a spacial strategy game and a tower defense sort-of game. What this game makes so special, is the game-balancing . It’s been a while since I’ve seen such an extraordinary game-balacing. This game has a slow pace – a round usually takes between 40 and 70 minutes. Strategic failures can lead to the loss of a 40 minute play – so you have to think ahead oll of the time. 1. The music get really a little bit of loopy after some while. The good thing is: the game has a feature to turn background music off. 2. It would be cool to have a second or even a third level, when finishing all three missions. Like having different maps to start with. But this are really small issues. Simply get this game Rymdkapsel made by grapefruit games. You will enjoy it! I am lately interested in the Raspberry Pi as a gaming platform. And say what? There are a couple of interesting projects doing exactly this. There is for example Cave Story available for the Raspberry! Between other goodies, browse for example the game-tag at the Raspberry-site. Another cool project seems to be the “RetroPie-Project“. This is a dedicated Raspberry-distribution, that aims at turning the Pi instantly into a retro-gaming console. Got more interesting project? Feel free to leave a comment! 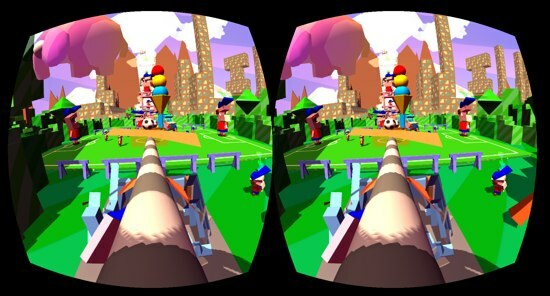 Dumpy: a somehow crazy game for the Oculus Rift: You play an elephant, that just escaped from carnival and must find your way to freedom. As you can see, you have to use your elephants trunk to fight all the obstacles coming your way. This one solves gracefully the “no controller” problem of the Oculus Rift (There are obviously no buttons at the Oculus Rift). This game is lovely made also when it comes to the overall style: starting friendly with bright colors it goes on and on to a more psychedelic trip to nowhere. An interesting game for an interesting controller, pushing new boundaries. Sebastian Standke from the German Indie-Gamezine “Superlevel” did the almost impossible: He played every single of the 2.346 games of the Ludum Dare 26 game jam. And not enough, he selected about 270 of the best games and made a video about them. Including playlist and further suggestions. Uff!! See this article at Superlevel and enjoy. A goldmine for casual gamers, researchers and game designers!